Global East Plastics Custom Molding Co. Ltd. Global East Plastics Custom Molding Co. Ltd. is a WFOE established in China's Pearl Delta on August 1st, 2014, with a registered capital of 3 million yuan. Specialized in the production and R&D of polyurethane elastomeric products, we produce our own brand GEPU™ superior screen printing squeegees, which use cover the whole serigraphy industry (glass, PCB, ceramic, advertising, textile etc. ) for manual or machine use. We also produce water scrapers and all kind of custom made PU protection parts for use in the factory, as well as PU custom casting service for special use. 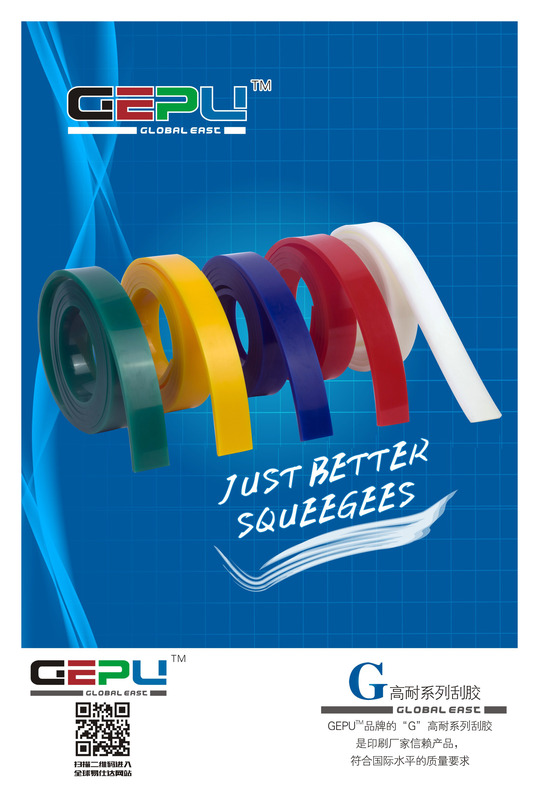 Mixing Western organization and quality management with Chinese experienced workforce, we offer reliable and fast service for standard or custom parts, and are dedicated to give customers quality products adapted to your need.GEPU™squeegees becomes the new partner of the serigraph from all around the world.